Olly Alexander used to think Jeff Buckley was communicating with him through "time". 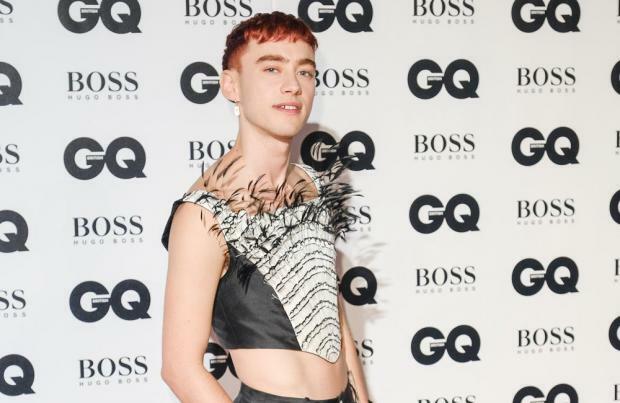 The 28-year-old singer – who fronts the band Years &Years – has admitted that he was "obsessed" with the 'Hallelujah' singer growing up and thought they could communicate with each other through his music. In an interview with GQ, he said: "I had my moments with being obsessed I was obsessed with Jeff Buckley as well for a while I was convinced that me and Jeff Buckley were communicating to each other through you know... time." The 'If You're Over Me' hitmaker revealed that he used to have a love for pop stars as well as singer-songwriters. He said: "I guess the people I really, really loved were, so I loved the Spice Girls and the pop girls like Britney, Destiny's child but then I got into more singer-songwriters like Stevie Wonder, Joni Mitchell Jeff Buckley." The 'King' singer also shared that during his rise to fame he found crying fans "quite upsetting" but he is now used to the reaction he receives and knows it's because the band's music is "important to them". He said: "Honestly at first it's quite upsetting when that happens because I just want someone to be okay like 'stop crying stop shaking'. "But now I'm a bit more used to that reaction I see it's just something that's important to them they're at an age, place in their life that's very important to them. "That music and being at the show is important to them, it's also being in that mentality with other fans you know they all get really excited. "I think about the fandom psychology you see the same people come to the front at every show and they dedicate such a huge part of their lives to being a fan of our band or of whoever and I think I was never at that level but I could have been."